SI also expanded the campus beyond its borders, adding new playing fields in Pacifica (8.5-acre Fairmont Field) and improving Marchbanks Field in Daly City to accommodate the school’s 66 athletic teams. All of these changes have made SI one of the finest high school facilities on the West Coast. St. Ignatius College Preparatory is more than just a sum of its parts. We provide a place where students can find community, develop socially, grow spiritually and explore their athletic and after-school options. Click here for a virtual tour of SI the campus. 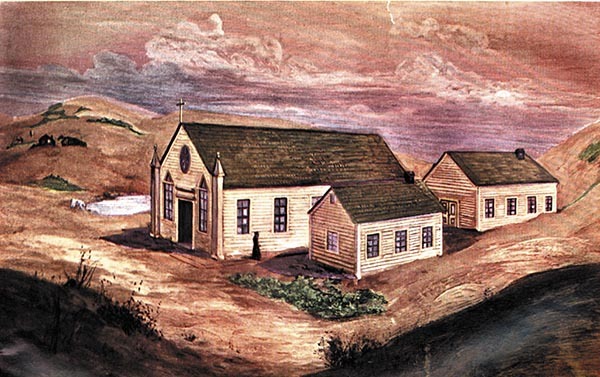 Over the years, SI has moved five times since our first one-room schoolhouse in Gold Rush San Francisco. With each move westward, SI has committed itself in new ways to teaching the young men and women of the Bay Area. "One day if I go to heaven … I'll look around and say, 'It ain't bad, but it ain't San Francisco."